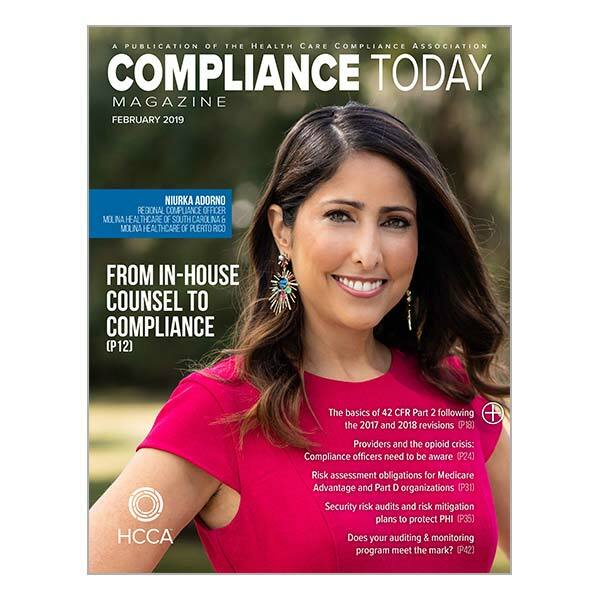 HCCA strives to publish magazines on the healthcare compliance topics that matter most to our industry. We invite our members and members of the greater healthcare compliance profession to write articles for our publications to keep topics current, fresh, authentic. CT is HCCA’s premier monthly publication available only to members. Articles are written by your fellow compliance professionals, and include news, tips, and guidance related to healthcare compliance concerns and issues, from getting buy-in from leadership to the latest government regulations.